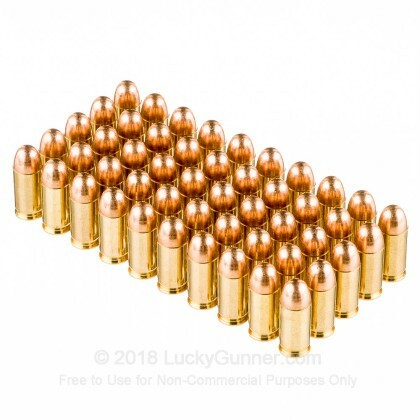 .45 Auto users will love this ammo for target practice, IDPA, USPSA, and other shooting! 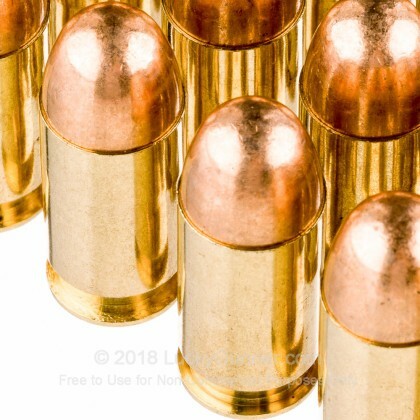 Each of these cartridges is assembled using a reloadable brass casing and a non-corrosive Boxer primer. 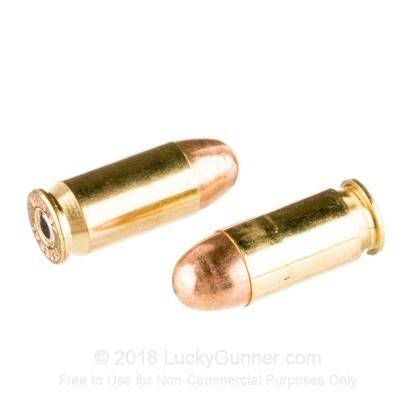 The casing is filled with clean-burning powder and then crimped to a 230-grain full metal jacket (FMJ) projectile; this is a standard weight for the caliber and sports ballistics that are comparable to military loads of the past as well as modern self-defense options. The FMJ has a rounded shape for slick feeding in any 1911, Glock 21SF, or S&W M&P Shield 45. American Eagle C.O.P.S. uses the same dependable components as the familiar red box ammo but with a twist in the form of a thin blue line. For each box of this brand that is sold, proceeds will be sent along to the Concerns of Police Survivors foundation which helps support families of fallen law enforcement personnel. 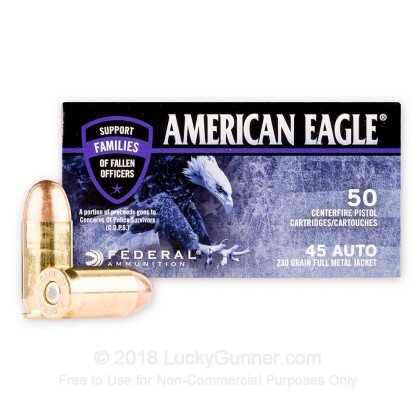 Federal ammunition is sought after by all shooters for its consistent quality, wonderful performance, and affordable price tag. 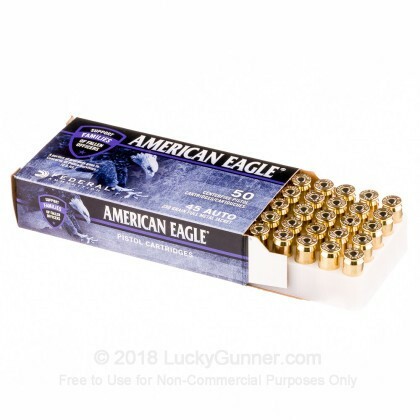 We don't have any reviews yet for this particular .45 ACP (Auto) ammo from Federal. 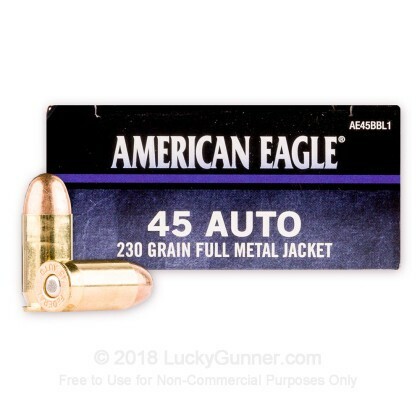 If you'd like to be the first to review this particular .45 ACP (Auto) ammo from Federal, fill out the form below.